All NHS events, all in one place. Agora is an intelligent NHS events-discovery tool. It allows NHS professionals to easily find and publicise training and educational events relevant to them. Find relevant events to your training level, professional interests and education needs. Get relevant events and educational opportunities delivered straight to your inbox every week. Easily reach relevant NHS professionals, and use our state-of-the-art ticketing system to manage bookings. 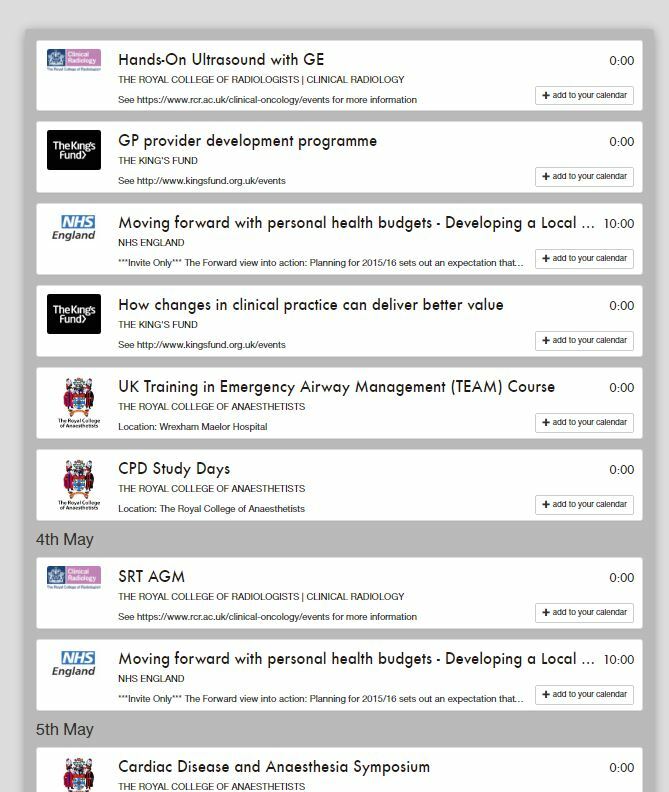 The easiest way to find educational events (and publicise them) for NHS professionals. Enter your specialty, place of work, and educational interests. See events that are custom-picked for you, or filter by category, date, and location. Receive regular email digests with a summary of events relevant to you. Get your event into the inboxes of relevant NHS professionals, and easily manage bookings. Check out our intro video! Questions or comments? Dont hesitate to get in touch!